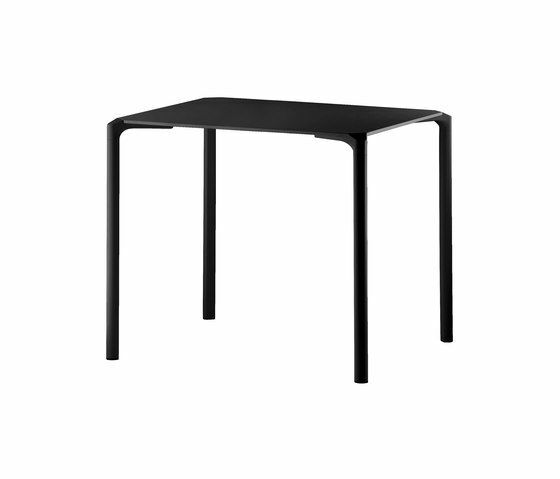 Junp stackable table, suitable for outdoor use, 3 o 4 legs version. Extruded aluminium legs (available in polished, white or black powder coated finish) are fixed to the top by means of aluminium die-castings. Solid laminate tops in different sizes and colours.